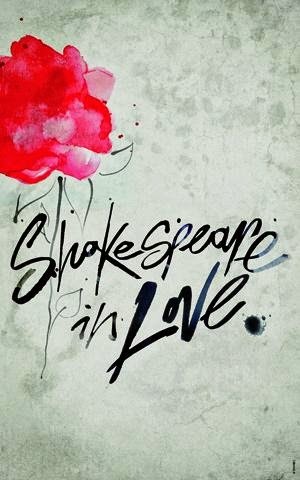 Last night Roger, Stuart and I went to see Shakespeare In Love at the Noel Coward Theatre in London's glitzy West End. Q: What’s Shakespeare in Love about then? Being the transfer of the multi Oscar-winning film to the stage we begin our story as promising young playwright Will Shakespeare is tormented by writer’s block. Soon he finds his muse in the form of passionate noblewoman, Viola De Lesseps. Their forbidden love draws many others, including Queen Elizabeth, into the drama and inspires Will to write the greatest love story of all time, Romeo and Juliet. Oh, and there's a bit with a dog. Shakespeare in Love is still in previews so perhaps we should give it some benefit of the doubt but I found it dragged somewhat. Yes, there were some funny moments (the boat taxi for instance) but largely the laughs were to be had at the expense of jolting us out our suspended disbelief. Using modern-day expressions and sayings to give us a laugh are all well and good but Shakespearean X-Factor just reeks of pantomime. Shortening the running time, rewriting with a few more gags and reducing the thirty odd players down to a more manageable twenty or so would do much to tighten up this production. Overall I'd say it's an overlong but enjoyable romp.